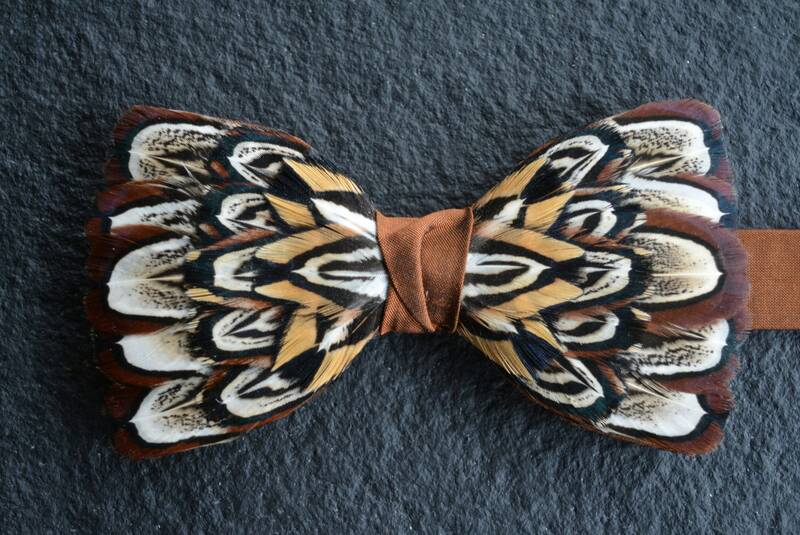 OXFORD Pheasant Feather Bow Tie. 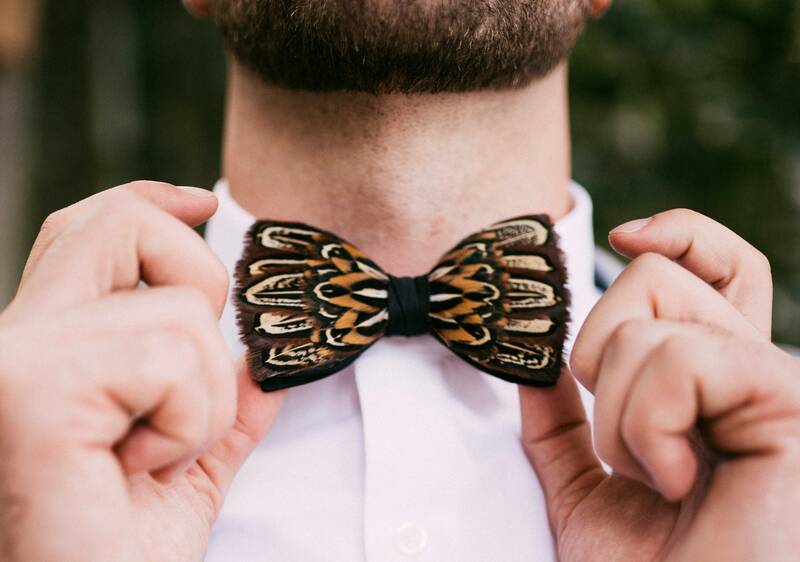 With its grand edifices of golden stone, Oxford is known as the ‘City of Dreaming Spires' and this Oxford feather bow tie, by plumassier artist Tracey Telford, is just as ‘in-spired’. 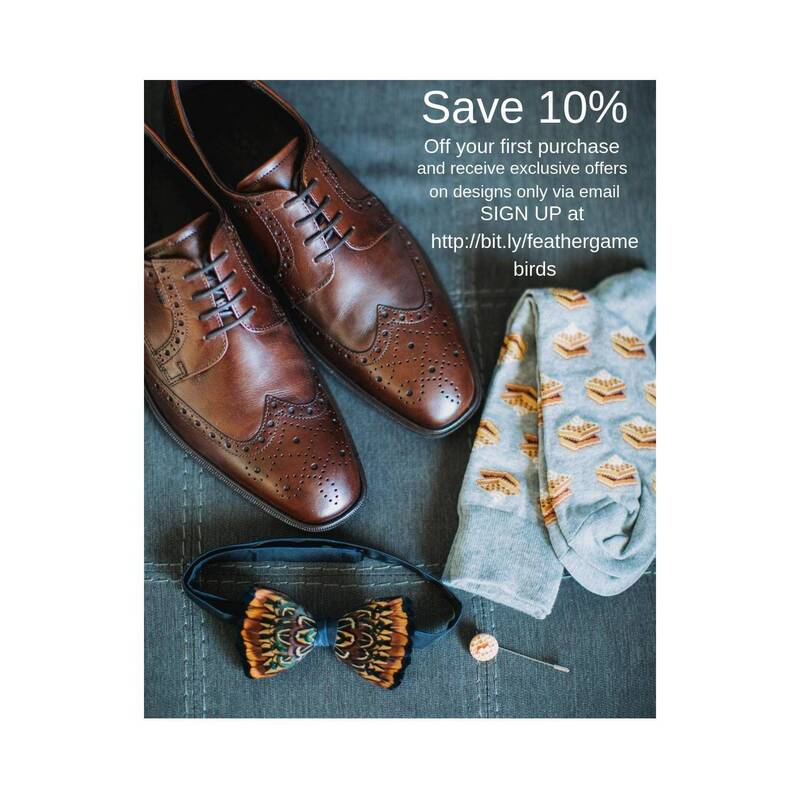 With it’s expertly laid central golden spires, built on a foundation of stunning brown, black, and white feathers, the Oxford takes classic design to the next degree. 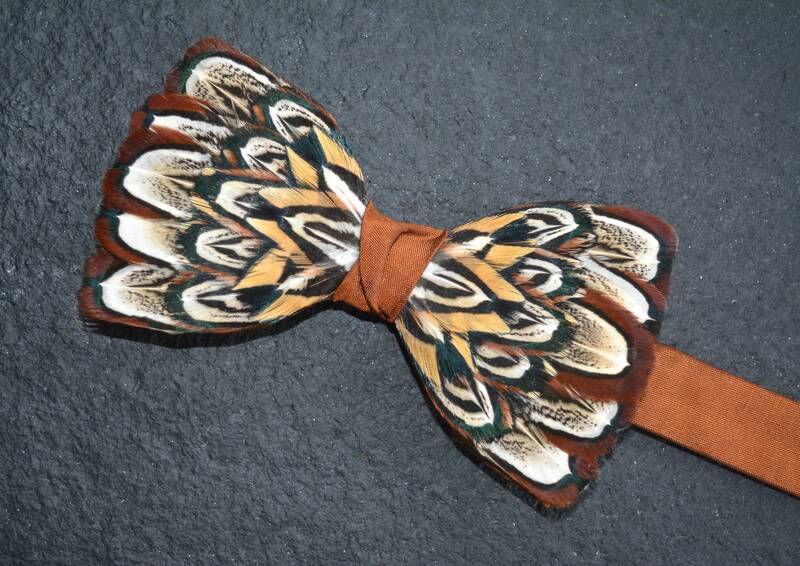 This design is available on a brown or black quality woven 100% silk double bow base, however, being individually hand made, it can also be supplied on quality satin and a range of others base colours could also be selected, to align with your preferred design aesthetic. Arriving in a beautiful wooden roll top keepsake box, which can be personalised with engraving, this bow tie is also ideal as the perfect gift to mark any special occasion. Complementing designs of lapel pins, feather pockets, wrist corsages, hair clips, bridal bouquets, and fascinators are also available, making perfect design matches for group events, bridal parties and collectors alike. 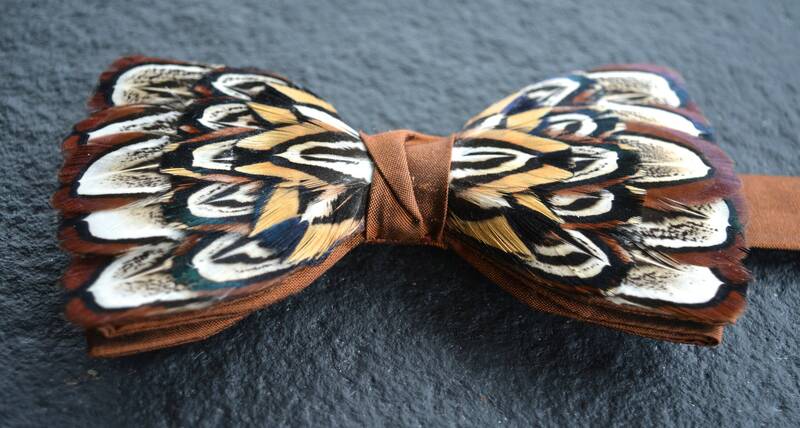 •	The standard size of the handmade bow is approximately 2.5" x 4.5"
3. Wish to add a personalised message to keepsake boxes use the dropdown menu, and then during checkout provide your personalization EXACTLY as you want it to be spelled in the “Note to Seller” section. If you forget, just send me a message on Etsy after your order is completed. You can add initials, names, dates, and a few lines of a poem, a special message or phrase.